Here I am again, sitting on the train and travelling to Paris. Some time ago my boyfriend asked me if I would like to go to Paris to watch the football game…I know. Many of you probably thought it would be something more romantic but if you live with a football fan you have to be prepared for this kind of situations. Because it was right before Easter we decided to stay there for the rest of the weekend and simply spend this time on sightseeing and having fun instead of sitting at home, cooking and eating all this food! 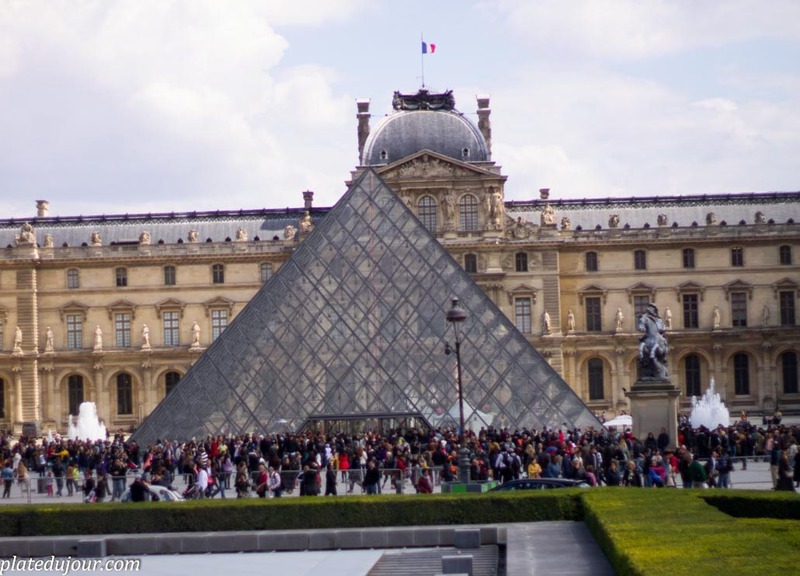 In the end I thought it was an awesome idea also because last time when I have been to Paris I wasn’t particularly impressed by the city, THE HOTEL and a few other things. I also have to admit that my boyfriend is the best person ever to travel with, and this was the guarantee to have a good time no matter what. I think he’s the only one who can put up with my coffee and cookie thing when we travel. The connection from Luxembourg is great. You get the train to Metz and from Metz to Paris direct TGV- the journey is quick – 1,30 hour and you are at Gare du Est in Paris. And then a big question mark- the HOTEL. We booked it at booking.com and I’m sure many of you have already found out that the offer online has nothing to do with sad reality…Paris can be cruel. The first time when I was staying at the hotel, which name I will mercifully not mention here I thought it was some kind of joke. The elevator of size of a coffin, and oh my…the shower about the same size and the room…We were expecting something very much similar, since you just get used to the fact that Paris is a classic rip off no matter where you go. It was a nice surprise though. The hotel is located 15-20 min walk from the Eiffel Tour and you can also get from there to the main metro stations. The room was really, nice and clean and the bathroom of respectable size. Honestly, considering that you are in Paris you cannot ask for more! We decided to hit the city almost right away- my friend would say there was no time to waste, and he’s right about it. After a short debate we had lunch in Bistro place recommended by the receptionist at the hotel. Nothing fancy but good enough if you ask me. We got a drink on the house too. If you look around in the city center you will see a few of those restaurants, specializing in different kinds of foods. So for those of you who might be interested here is their website www.legrandbistro.fr. Below on the picture one of theese places, known for its sea food selection. Once we satisfied our stomachs there was only one thing we could do- the bus tour! Whenever we travel we do it if possible. I think it’s a great way of reconciling a new place. It saves your time, since the bus takes you to the most attractive points in the city and you can easily and what’s more important quickly find out if you really want to see all the tourists attractions or you can think of it as a taxi bringing you to some places in far more attractive way than the metro- oh yes! The thing is, if you plan on hanging around the city center and you have maybe only 2-3 days to see everything, or almost everything, like us, the hop on- hop off option is great. For one day the average cost is around 35 euros, but if you add another 4 or 5 euros you can have the ticket valid for two days! And I really do recommend this! Of course if you’re ready to pay a little bit more you can also get the boat option and you can do it anytime it suits you. Just remember that the boat has no hop on -hop off option- which I was insisting on (argh!) and in the end we couldn’t do it. There was no time to go back to the first stop- for us it was Eiffer Tour by the way. So the bus tour…We loved it of course- the weather was not great to be honest, so we appreciated the views from the top floor of the bus. Louvre was one of the stops. By the way we managed to get in without booking the tickets in advance. If you ever tried to get in you know how long you have to wait if you didn’t book them online. When we showed up in front of the museum the queue was unbelievable long! We decided to wait another 20 minutes just to see how fast it was moving. I was patiently waiting when suddenly someone asked me if I was speaking French- with a strange accent I have to admit. My boyfriend rushed to help me but the man appeared to be very polite, a bit lost Canadian who wanted to sell his tickets. His wife got sick and he didn’t want to go to the museum on his own. I was still suspicious a little bit- well I just turned around and saw that the queue behind me was probably another kilometer longer and they announced you needed to wait for another 3 hours to get the tickets! The man explained that he was asking around but as he said- all these people are Italians, Spanish or English and I can’t speak any of these languages! Within another 10 minutes we were inside of the pyramid! Since in the evening we run to see the long expected football game, there was no time for dinner. Only a sandwich on the go. However we knew we had something nice coming on Sunday, as we were seeing some of my boyfriend’s friends. I think the best thing when you travel is to hang out with some local people. They know where to go for nice lunch or dinner, or even breakfast! That’s how I got to know Venice- and this is a story for another occasion. So our Sunday brunch. 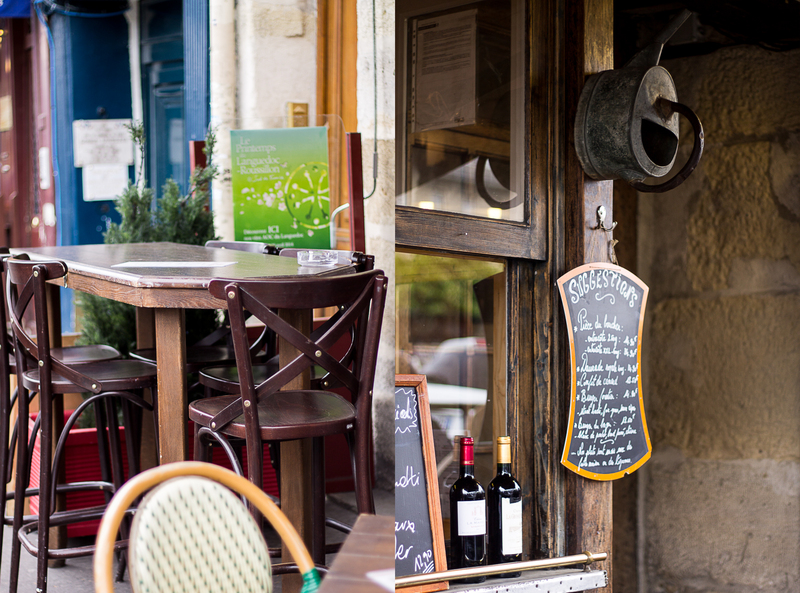 If you know the area close to Notre Dame you know that it’s full of nice , cozy places where you can eat with the locals, and you will not see the whole bunch of other tourists, maybe even staying at the same hotel. You might not believe it, but it happened to me in Bruges awwwwwwwwwwwww….Well, tourists are everywhere in Paris, true, but sometimes it’s a matter of another few hundreds meters and you are in a different world. Around 11.30 a.m. we got to the place, which apparently is popular among Parisians. For 25 euros you eat as much as you can. 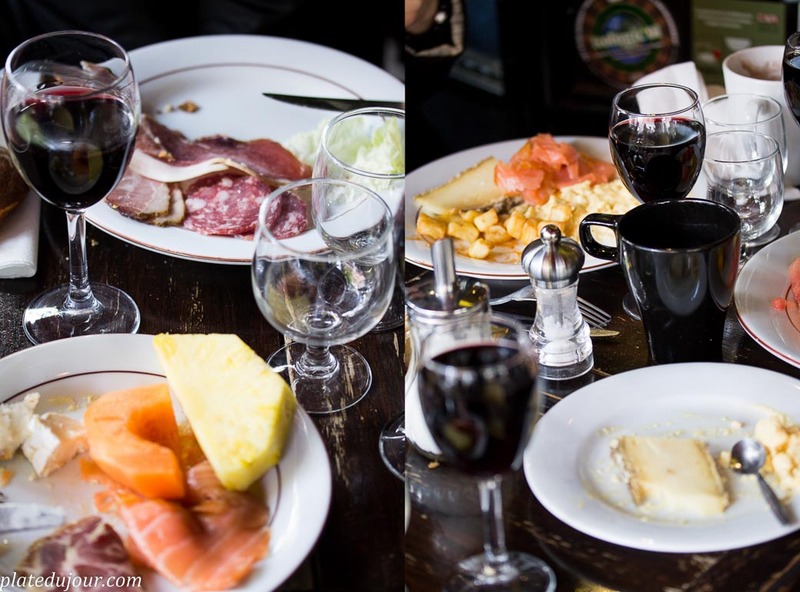 As it is brunch, you can have a regular breakfast, starting with scrambled eggs and bacon- typical French ha? 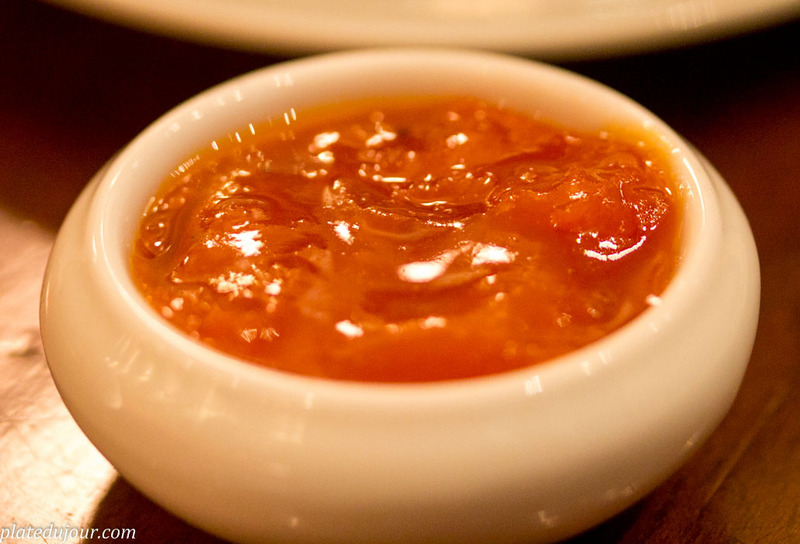 The restaurant provides great selection of fruits, cakes and orange juice. 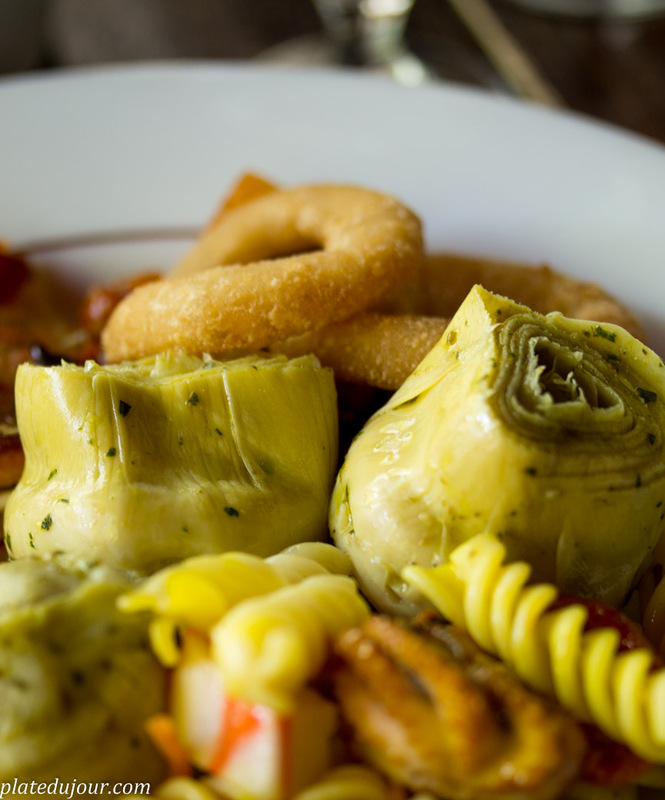 If you up to something more serious you can have pasta salads, kind of frutti di mare things- I thought it was calamari in the end. Also very nice choice of cheese- of course! Tea and coffee is a must and it’s good coffee people- for me very unusual as for France. Here the name of the restaurant- Bar du Marché des Blancs Manteaux. Try it yourself! I have to say that it was difficult to resist once you started, so after I had my breakfast I attempted to try some lunch options. I really liked the cheese and the meat selection. All of us had an enormous feast to be honest. More than 2 hours of just eating and talking! Oh I forgot to mention that the wine you can see on the pictures is also included. Monday morning- breakfast time! The day before on the way to the brunch place we noticed a restaurant call Les Philosophes, and we were told that the idea of this place- or the owner I should say, is to use only organic, good quality ingredients. My boyfriend- sometimes called by me ” organic freak” decided Monday morning was the organic food time. So we went back to the same part of the city, almost next to Notre Dame. Iwas reluctant a little bit since I wanted to do more things in the morning and have nice lunch before our departure but there you go. Sometimes you cannot fight the destiny. So far it was the nicest place I have eaten in Paris. Honestly. The menu looks simple and not terribly expensive. 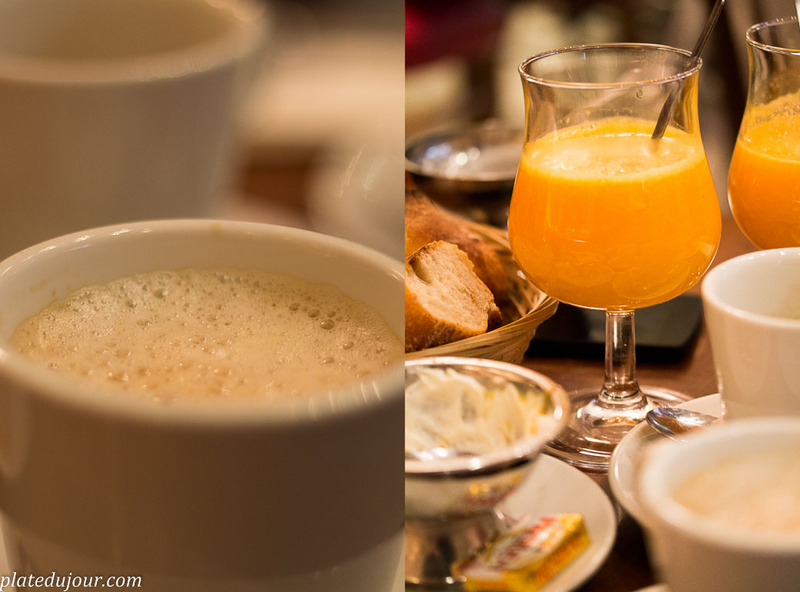 We went for a combo- or formula as French call it- breakfast for 14 euros. What you can see on the picture is the place itself and the bakery, which is just one meter far from les philosphes. They bring bread and pastries straight from this bakery- we asked and we have been there- it’s true! This was a fantastic breakfast. 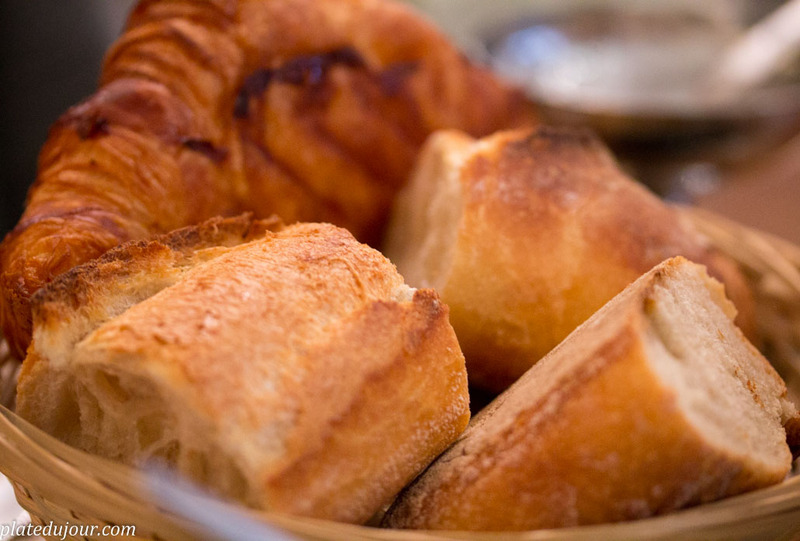 What else can I say…I am not a big fan of croissants but the one I had in les philosophes was one of the best ever. The orange juice was freshly squeezed- no water or anything else in-, bread with fromage blanc and the apricot jam- why would you like more? And you can ask for some jam or milk with it. They will serve it. Our trip was getting close to its end, such a pity. Last look at the city- see how beautiful Paris can be. One last thing. 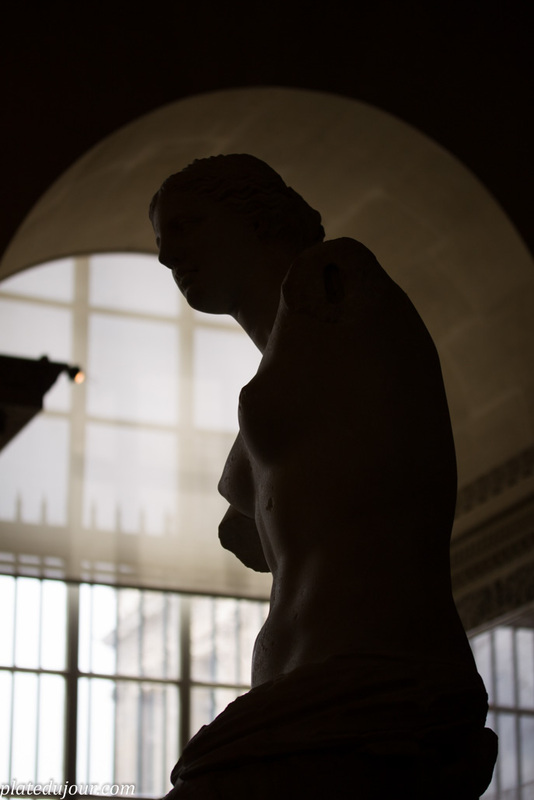 When we were in Louvre, in the Antiquity section I saw suddenly a huge crowd of people. 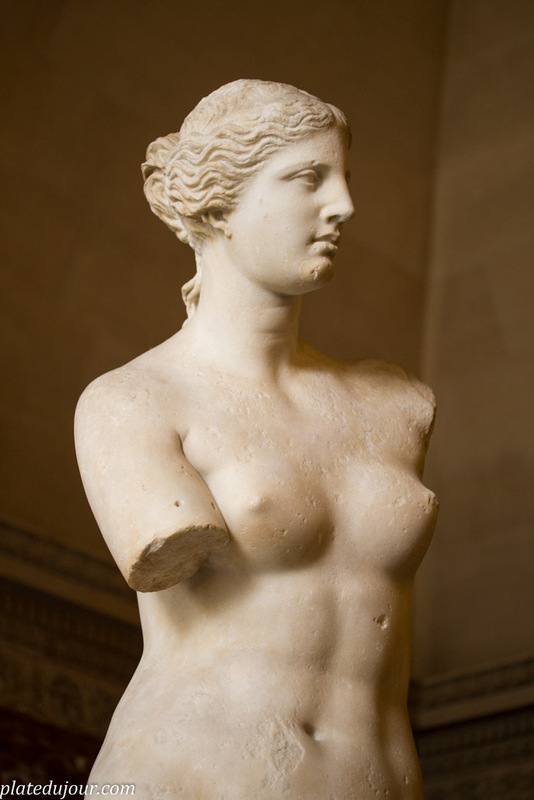 At the beginning I didn’t know what it was, but then I realized it was Venus de Milo. I took some pictures of course, without even looking at them. At home I noticed that one of them was different then the others and I showed it to my boyfriend. He looked at the picture and he said “Oh my! the picture is not good, it’s wasted!”. Then I spoke about it to one of my friends, who actually takes pictures too and he said ” oh so you managed to get the effect of Chinese light”. Chinese light or not I call this picture “wasted Venus”.